Happy St. Patrick’s Day!!!! Deals all over the place!!! If you are in the mood to get lucky, hold onto your leprechaun hat! In case you haven’t heard the big news, one of the most anticipated holidays of the year is almost here and Americans are ready to get their green on! March 17 is St. Patrick’s Day and it’s time to celebrate in style! According to a CBS Pittsburgh report published March 15, folks are turning out in huge numbers to celebrate all sorts of St. Paddy’s Day events across the nation. Besides indulging in a wee bit of green beer cheer and some fabulously fun Irish-inspired entertainment, some businesses and restaurants across America are offering free meal deals, goodies and discounts in honor of St. Paddy’s Day 2014. There’s no need to surround yourself with a few of your favorite leprechauns or present an Irish passport to claim your pot of gold either. Check out the links below for a few Luck of the Irish steals-and-deals. Free Breakfast Buffet – If you happen to be in the St. Louis area, stop by The Dubliner for a free Breakfast Buffet on Monday, March 17 from 8 – 11:00 a.m.
Arby’s Deal – Buy a Corned Beef Reuben and get one free – with coupon. One per customer through March 17, 2014. Dunkin Donuts Irish Menu – Stop by participating Dunkin Donuts and check out their Irish menu which includes Irish Creme and Mocha Irish Creme Coffees and Lattes, Lucky Mint Coolattas, Mint Hot Chocolate and Mint OREO and Mint OREO Creme donuts. 7-Eleven Free Slurpee – Pick up a small Diet Coke Frost Cherry Slurpee from participating 7-Eleven locations by texting “DIETCOKE1” to 711711. Olive Garden Freebie – Get a free dessert with purchase of any adult entree at participating Olive Garden locations. Coupon is required. Offer valid until March 30, 2014. Sonic Drive-In Deal – Participating Sonic Drive-Ins will be offering half-price cheeseburgers all day long on March 17, 2014. Bonefish Grill Meal Deals – Get $10 off your lunch when you buy two lunch entrees at participating Bonefish Grill locations. Coupon is required. Dine-in only. Expires March 29, 2014. 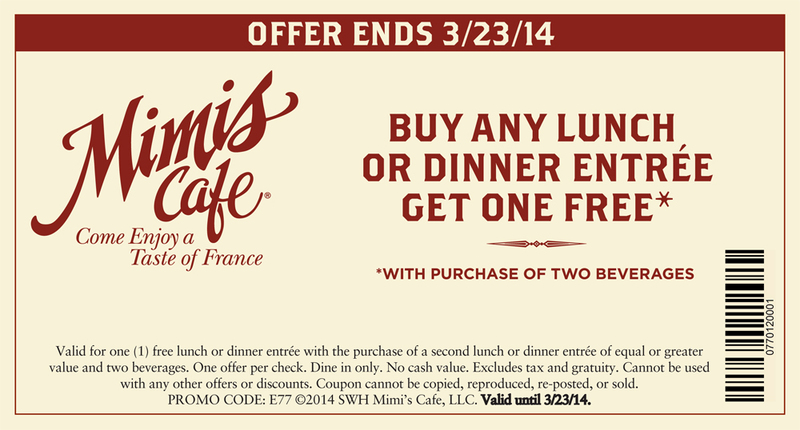 Mimi’s Cafe Meal Deal – Purchase any lunch or dinner entree and get one for free at participating Mimi’s. (with purchase of two beverages). Dine-in only, one offer per check. Offer ends March 23, 2014. Green Pistachio Muffin – Participating Honey Dew Donuts will be servin’ up green Pistachio Muffins for .99 – with coupon. Offer valid until March 31 – while supplies lasst. One coupon per customer. Green Bagels at Brueggers – Buy 12 green bagels (while supplies last), get one free at participating Brueggers. In the mood for some tunes? Download the Free Green Hill Celtic Music Sampler 2014 from Amazon. Please note – some restrictions may apply. Please visit the vendor’s website for specific information. Scrappy St. Patrick’s Day Shamrock Wreath – This wreath craft is made out of fabric scraps, green fabric, Styrofoam, glue and ribbon. These adorable free printables can be used to top cupcakes, decorations, pins and/or gifts for teachers. Looking for a great decoration? Check out this super-cute St. Pat’s Mini-Tree craft. This free Shamrock Banner is from Alder Berry Hill is perfect for parties. Free St. Patrick’s Day Stickers – Just print, peel and stick ’em. This Leprechaun Paper Craft is too cute. 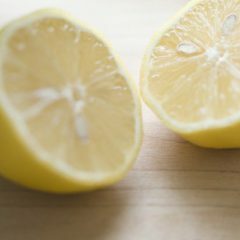 35 Best green cocktails & mixed drinks recipes for St. Patrick’s Day: Cheers!